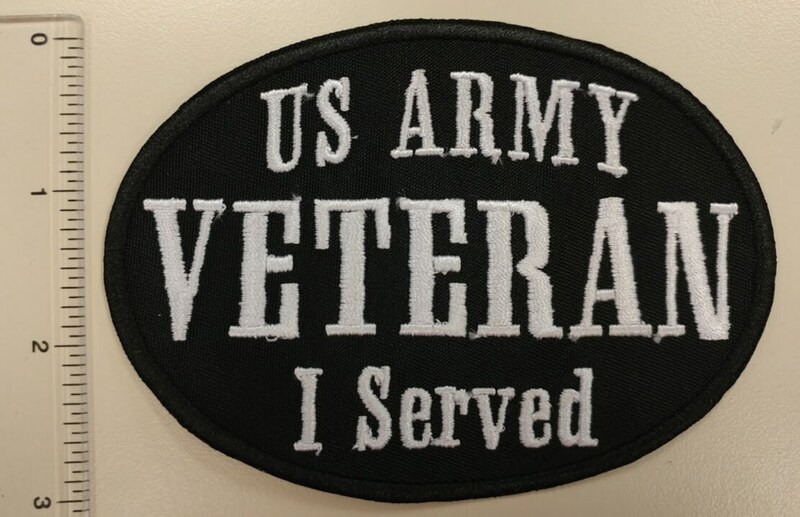 This applique backed embroidered patch proudly announces your service in the military. These patches look great on jackets or other apparel. It is sewn with a black border and white thread for the text. 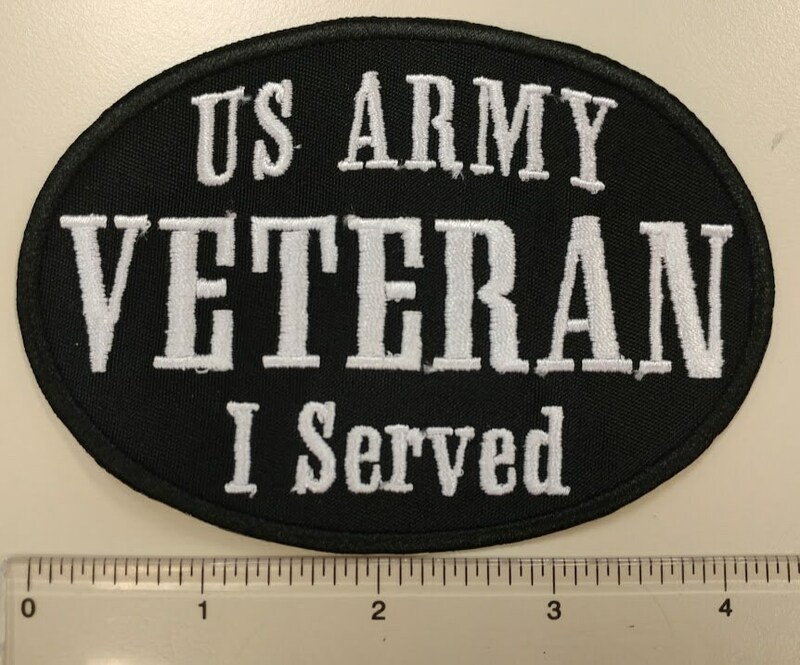 The patch measures 4"W X 3"H and is an oval shape. I can do other colors or military branches as well, so if you'd like a different color or text, message me and I'll let you know if I can. These patches are coated with an iron on adhesive to help with application. 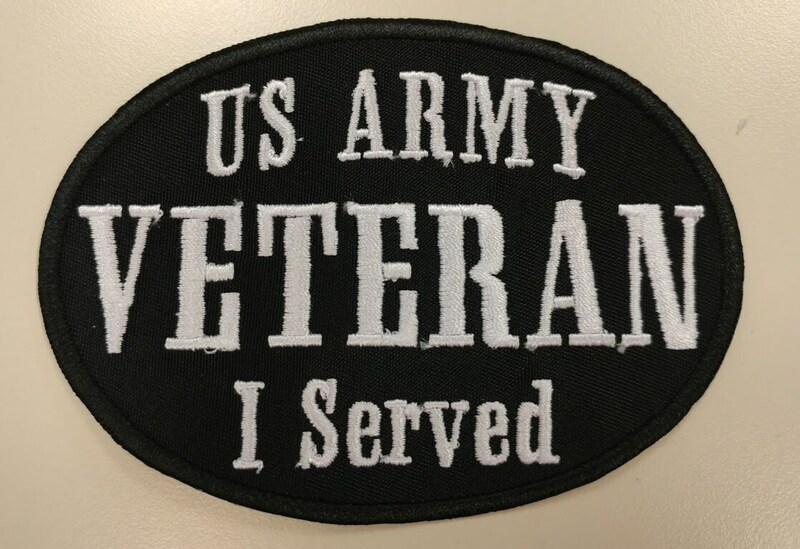 The patch will ship 1-7 business days and are mailed first class. If using heat-press, use 320-330 degrees for 10-12 seconds, then turn garment over and press from the back-side for 15-20 seconds more.